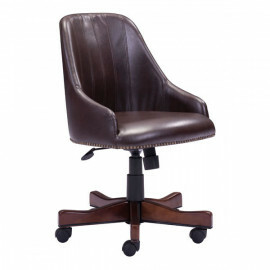 The Maximus Office chair has an unsurpassed design with an upholstered high back and plush seat in rich dark brown leatherette. 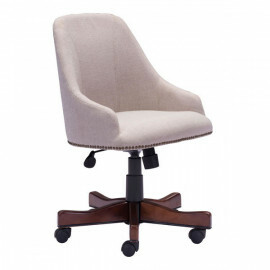 Accented with vintage nailhead details and wood base; perfect for any executive's desk or masculine study. The new standard whether in homes or professional offices. W23" x D23" x H32.7"-37"